Previously I started my 3PAR 101 / beginners series with the post Meet Chunklet!, which has been one of the blogs most popular posts. Now it’s time to move on with the series. Part 1 of the series dealt with 3PAR’s unique approach to RAID and found that several logical layers were created to enable this. 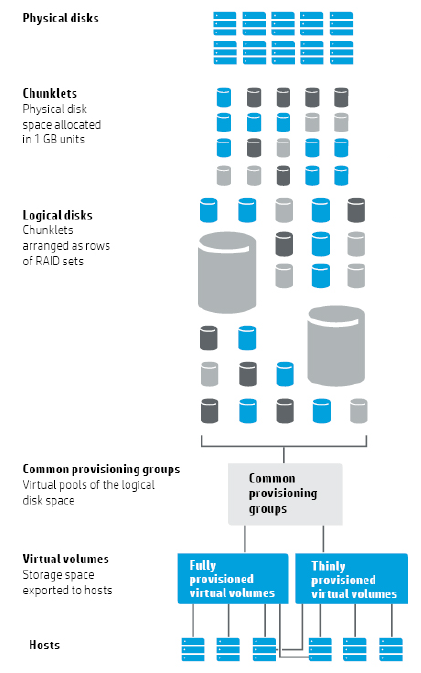 As a quick reminder; Vluns are a virtual volume which has been presented to a host, Virtual Volumes draw their space from CPG’s, CPG’s are a pool of Logical Disks and Logical disks are chunklets arranged as rows of RAID set. If you’re still a bit hazy on all this check out Part 1 of this 3PAR 101 series where we covered all this is in detail. The 3PAR building blocks that we have direct control over are CPG’s VV’s and Vluns and will be what you mainly work with day to day, this 3PAR 101 series will cover each of these components in turn. Without further ado lets crack on with looking at the first building block we will need to put our 3PAR to work, which is Common Provisioning Groups (CPG’s). A CPG is a pool of logical disks that virtual volumes will draw their space from. For simplicity if you have worked with other storage vendors you can think of a CPG as a RAID pool. However that is just to help to understand the concept, as a CPG also has many characteristics that make it different from a traditional RAID pool. We know that CPG’s are a pool of space and the smallest building block that makes up that space is a chunklet. CPG’s effectively filter which chunklets are selected and how they are arranged, which in turn means CPG’s define performance and availability levels. There are three levels of availability port, magazine and cage. Port is the lowest level and protects against a backend port failure, magazine protects against the failure of a drive magazine and cage protects against an entire disk shelf failure. Let’s look at a couple of examples below to help understand how CPG’s settings define performance and availability. CPG1 for example uses chunklets from FC disks, in a set size of 3 and availability of magazine. 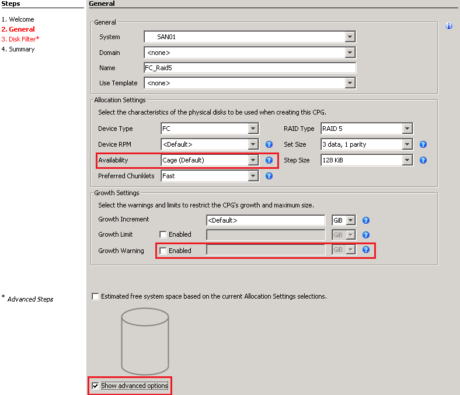 CPG2 is configured to use NL disks as RAID6 and a set size of 6 and an availability of cage. So CPG 1 will be higher performing but less available than CPG2. Upfront a CPG will consume no space it is only as virtual volumes demand space from it that it will autogrow. This is a big bonus as it eliminates the need to pre-allocate and pre-plan the size of the different CPG’s you need to create. Although with multiple CPG’s able to consume space from the same set of physical disks this does require that your capacity management needs to be more vigilant. Performance increases the more disks you stripe across, and so you will generally want to stripe all your data across all the available disks of that type in the system. Lastly you need to be aware that CPG’s will form the levels that the tiering software (AO) will work with, but more on that another time. The availability options for a CPG are HA cage, magazine and port. The CPG will default to the highest level of availability. Device Type – Chose the physical disk type you wish to use for your CPG, this will default to FC disks. Set size – The size of the RAID set. In this example the set size is 6+2 meaning 2 parity drives to every 6 data drives. Next time we will be creating a virtual volume and exporting it as a Vlun. If you missed it, catch fundamentals of 3PAR of this 3PAR beginners guide series and also Virtual Volumes and Vluns). the Part 3 link does not work. Great stuff, thanks for sharing. Sounds like ur an HP insider? This is such a great sharing site. I really appreciate it so much. I have some questions which need your advise. 1. I have 1 cage with two controller nodes and 3 additional cages. What CPG HA should I go with as the best practice ? Should I create CPG to have all the members from all phish am disks ? 2. When powering on, should I power on controller nodes first or 3 additional cages first ? 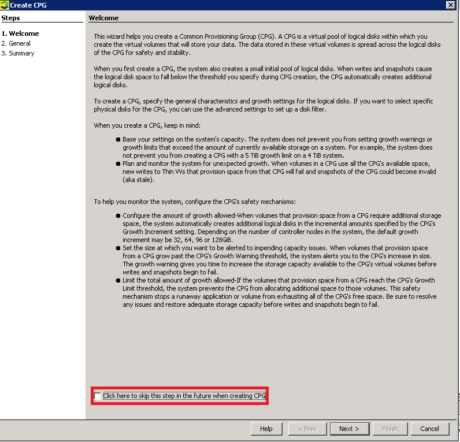 1 Yes create the CPG to use all available disks of the same type. You effectively have 4 cages so could use cage level HA if you created a RAID 5 3+1 CPG or a RAID 6 6+2 CPG if you wish to have a larger RAID set than this you would need to use the reduced availability level of magazine. Hey Dude. What do you think of 3PAR HA Cage? We are going to use the peer persistence replication to another active array, and we are contemplating HA cage. I am potentially building a 3par metro cluster, and my shelf count jumps from 4 to 8 pretty quick. Not sure if it is needed with peer persistence. thoughts? I would see them as complementary to each other rather than an either or decision. HA Cage provides enhanced local availability and Peer Persistence is datacentre availability. I recommend to customers to buy as many cages upfront as they can afford, cages are relatively cheap in relation to the overall purchase price and then it allows you to optimise your disk layout from the start plus avoids a costly rebalancing exercise further down the line. Plus if you did have the extra cages you would then be able to have the cage HA. I have a 3 par 7200 with two cages. 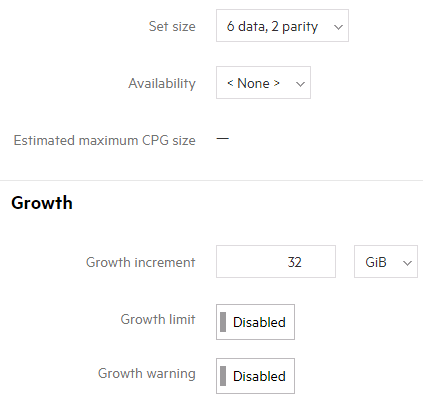 is it possible to set the cpg availability to cage level with just 2? or am I left with magazine level? 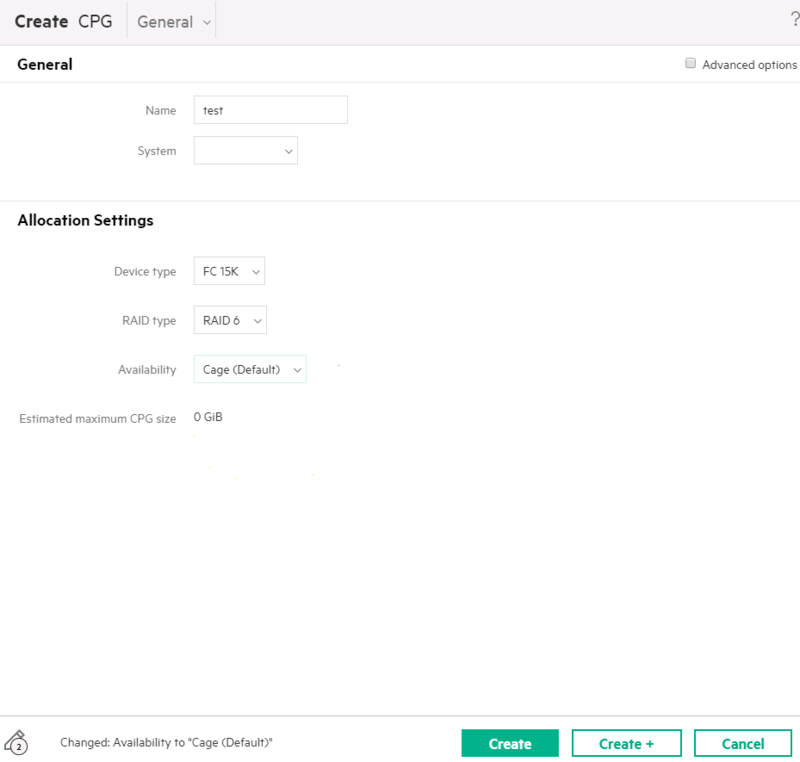 it does default to cage level when setting up a new cpg. It depends what RAID level you are using. I assume when you say you have 2 cages, that’s 2 cages total including the controller. If this is the case you could use cage level availability with a RAID 1 CPG. To use RAID 5 or 6 with cage level availability you would need a minimum of 3 cages. Thanks for the quick reply. I had another look this morning and we have 2 controllers and 3 drive cages consisting of SSD, FC and NL disks. I am looking at RAID 5 and 6 which is currently set to magazine availability. I have basically taken this over and after reviewing have noticed that the setup is not right in my mind. Previous person has made the set size 4 + 2 on RAID 6 CPG and 5 + 1 on RAID 5 CPG and all set to magazine availability. I’m looking at a redesign of the storage for VMware as its grown by 50 servers this year. Can u please share a link for Peer Persistent topic. In our set up I see Configured Availability as cage and Current Availability as Cage. Is that because it was originally configured as Cage and then was later changed? If so why not show me on the current availability, the one that it was later tuned to. Unless I guess its indicating that older data on this volume has a different configuration and all new data will have the “current availability. Hey there, great article with nice explanations, though one thing boggers me still. I’ve been around storages for some time now and the concept just is the same. Have a disk split up to stripes, schuffle them around into raid groups, put those raid groups together, carve out logical devices to map to hosts. Thanks for the comments. I am less familiar with VMAX so cannot make a direct comparison. However Chunklets are still a useful technology enabling you to run dissimilar RAID groups and wide striping and on the same physical disks. I would say what is a key differentiation, is that 3PAR scales from mid-range to large deployments so you are getting all these high level features which would only be found in the top level systems from other manufactures. This also allows a common OS and so common management tools / skills plus mobility between models. 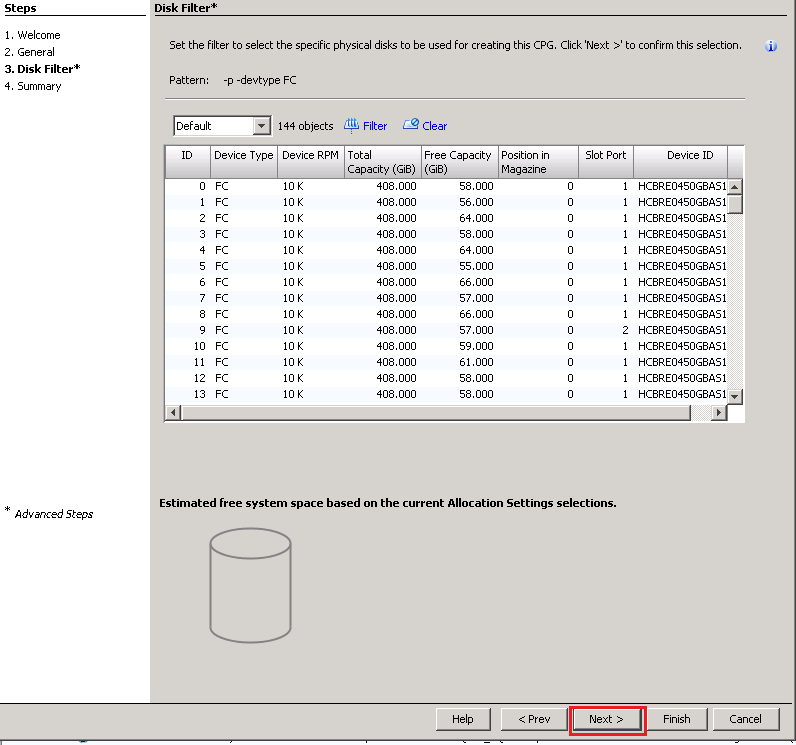 How can I create CPG with specifies which disk or disk slot to create ? Hi you can restrict down a CPG like this but I wouldn’t recommend it as 3PAR is designed to be a wide striped system across as many disks as possible. But if you do want to go ahead you would need to use the createcpg command with the -p switch to specify a specific pattern. 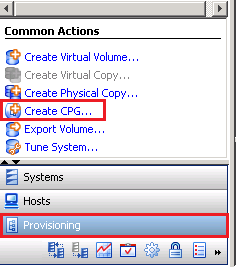 For example you could use createcpg -p -pn to specify exactly which disks to include. This is really helpful and easy to understand information. I am very much new for 3par and trying to understand the architecture in an easy way. These articles helped me a lot. Do you have an article on AO, Snpshots and other features? This beginners guide is a good start. Also check out the 3PAR Hub https://d8tadude.com/3par/ where I have gathered all the best 3PAR content. 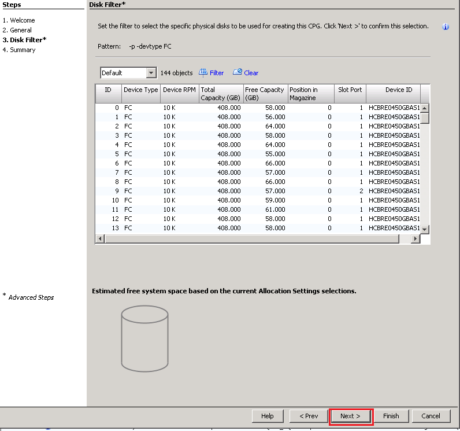 Question how do we configure 3PARs to be virtualize with EMC products. Example, I want to use 3PARs is core storage and manage VNX under the SSMC. 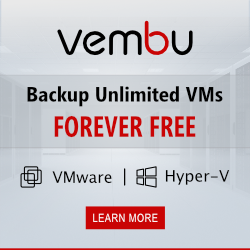 Or having EMC VNX/VMAX disk capacity connected to 3PARs. Is this possible to have this done with 3PARs.